Harpist Mary Lattimore makes music that sings like a memory. Melodies peer out over layers of water, soil, and stone, transporting you to places you’ve been or imagined. Earlier this year she released the stunning Hundreds of Days on Ghostly International. Her latest is a collaboration with songwriter Meg Baird. It’s called Ghost Forests, and it’s available now on Three Lobed Recordings. The album pairs Lattimore’s experimentation with Baird’s songcraft for an album of reflective and tangled musical exchanges. Their sounds live and breathe - you can hear the musician’s give and take, the act of creation itself. Mary Lattimore spoke with Eddie Garcia (1970s Film Stock) after she and Baird made their live debut at the 2018 Hopscotch Music Festival. Pedal Fuzz: Tell me about your early days of playing the harp - when did you start, what kind of harp did you play, who did you play with? Mary Lattimore: I started when I was 11, playing a small troubadour harp. In high school, I went on to play the pedal harp and played with my high school orchestra and the Charlotte Youth Orchestra. I then went on to study at the Eastman School of Music, only playing classical music for a long time. PF: Do you come from a musical family? ML: Yes, my Mom is a harpist and my grandpa played the piano and banjo. 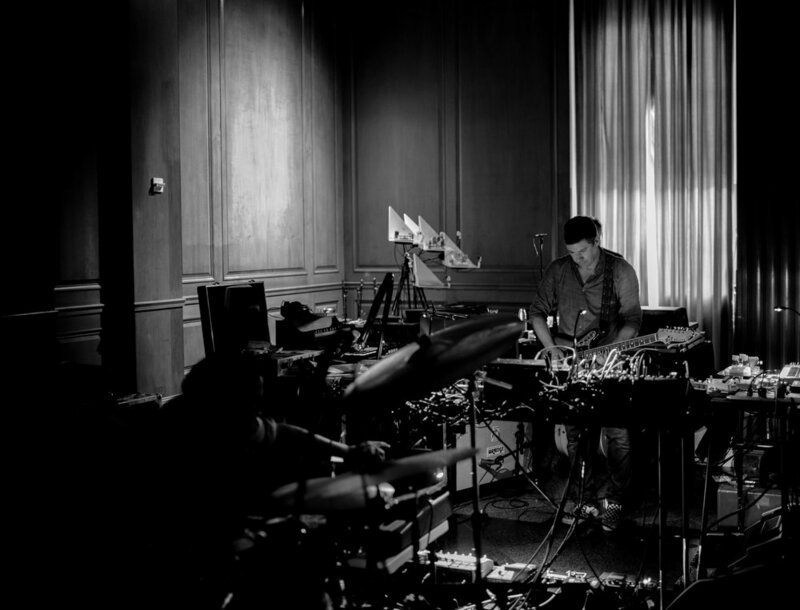 PF: What musical experiences were you having leading up to the 2013 release of The Withdrawing Room? Were you playing in other configurations at that time before you went on the solo path? ML: I was in Thurston Moore's band with Samara Lubelski, John Moloney and Keith Wood. Samara, Thurston, Beck and I made Thurston's record Demolished Thoughts together and then we all went on tour, minus Beck. The tour cycle lasted almost two years, I think, and then it was time for Thurston to work on a new record. He didn't really need harp on it, so I was encouraged by Kurt Vile and another Philly friend, Jeff Zeigler, to make something solo. I had never worked on anything alone like that, but went into Jeff's studio and improvised The Withdrawing Room. Jeff played synth on “You'll Be Fiiinnne” and the title came from KV saying I'd be alright even though I wasn't playing with that band anymore. Making something solo seemed daunting at the time but it all turned out alright and now it's my favorite thing to do, come up with my own solo compositions. PF: What can you tell me about your Lyon & Healy harp? ML: It's about 50 years old and belonged to a student of my mom's. It was made in Chicago and sometimes I use a black Sharpie to fill in the bald spots. PF: When did you get into pedals, and exploring ways to loop or change your sound? ML: I was playing for fun with Tara Burke, who plays under the name Fursaxa and layers and loops her vocals and keyboard. We were also improvising with Helena Espvall, amazing cellist from Espers, and she was doing the same thing, so I was encouraged to see what the harp would sound like through pedals. I thought I could make something unique like they were doing with their instruments. PF: The Line 6 DL4 has been a big part of your sound and performance. How do you feel about their reliability? I interviewed William Tyler and he said he had gone through quite a few. Have you ever gotten the DL4 modded? ML: I haven't gotten it modded, but I certainly should. They break all the time. I even flew to Iceland with a brand new one and went to play the show and it didn't work, so I had to borrow a friend's looping pedal and learn how to use it during the set. I'm on my 4th one in just a couple of years. I really know the DL4 so well, though, so I'm gonna stick with it while adding other pedals too, but yeah, William is right. They break and you can't trust them, unfortunately. PF: What pedals are you currently using? ML: I just bought the Strymon Big Sky and I loooove it. I have a bunch of Moogerfoogers too and those sounds really interesting, like the Ring Modulator and Cluster Flux. The delay is beautiful. PF: When you play live, are you using an amplifier, or going straight to the PA? ML: Straight into the PA. An amp feeds back all the time. PF: What kind of pickup system do you use? ML: The Dusty Strings Pedal Harp Pickup. It's gorgeous and rich and I couldn't be happier with it. PF: What role does improvisation play on records and in live performance? ML: I like structured improvisation, where I write a general theme but there's room for happy accidents and layers. PF: The new album Hundreds of Days has other sounds, like synth and voice - tell me about the choice to expand from the solo harp. ML: I love adding textures and experimenting with instruments that I don't really know how to use, like the Moog Theremini and am learning how to play guitar now too. I like the period when you don't really know where you're doing and the primitive instinct of it. PF: You have lots of collaborations, how does that inform your solo work? ML: It's all body-of-work style - collaboration and improvisation, classical music, solo stuff - it all influences each other in melody and listening. PF: What is your relationship with sound engineers at venues like - do they have certain expectations when they see the harp? ML: They do but I think generally they're pleasantly surprised that it's not too hard to figure out! PF: Where did you record Hundreds of Days? ML: I recorded it at the Headlands residency in the Marin Headlands outside of San Francisco in a Redwood Barn. I just used GarageBand and had a lot of freedom, space and time - also a lot of inspiration from such a dramatic, gorgeous landscape. PF: How did you get your Headlands Center for the Arts residency, and what did you gain from the experience? ML: It was through the Pew Center for Arts and Heritage in Philadelphia. I received a fellowship in 2014 and that made it easier to get awarded the residency. I feel incredibly lucky that both happened to me. Both changed my life so much. The validation that I am on the right track with music has meant so much, and the trust from them that I'd make something cool with the experiences. PF: You’re incredibly active, is it hard to organize your playing schedule? ML: Yeah, luckily I have a great manager and a great booking agent who keep me busy and organized and I wanna take advantage of all opportunities and weird experiences - I love saying yes and bringing the harp to people who have never seen one before. PF: Do you visualize images in your mind while playing? ML: Yes, always. Little movies. PF: What soundtrack/scoring work have you done recently? Any coming up? ML: I recently wrote a part for the documentary about Mr. Rogers, Won't You Be My Neighbor. I also play the parts written by talented film/tv composers like Heather McIntosh's killer score for Amy Scott's Hal Ashby documentary that was just released. PF: How has your musical life changed moving from Philly to L.A.? ML: I'm working more for film and TV and making a little more money, being more active professionally. Philly was great for warmth, support, improvising and community and LA is great for work and new creative opportunities. Both are terrific places. PF: How long has Ghost Forests, your upcoming record with Meg Baird been in the making, and how did the project come about? ML: It's coming out on Three Lobed Recordings, an old friend of mine and Meg's label (Cory Rayborn) and he encouraged us to make something together, as we are close friends. We recorded and wrote it in only a few days and the synergy was apparent. It was super fun. It was engineered, mixed and co-produced by Thom Monahan. PF: What was working with Baird like, how was merging your songwriting approaches? ML: I am more improvisational I think, and she writes beautiful lyrical structured songs, so it's a melding of our styles. I love how Meg's brain works! PF: Your gig with Baird at Hopscotch was the live debut, were you happy with the show? ML: It went fine! I was happy with it. We are about to embark on a 30-show opening slot tour with Kurt Vile and the Violators in Europe starting tomorrow, so the set will be really good by late November! PF: Do you have any other upcoming tour plans? ML: Solo tour after the KV tour in Europe and the UK! PF: Last, I know a young harpist (17) who is beginning to experiment with pedals - he currently has an EHX Memory Man, and would like to play in a rock band. Would you have any pedal recommendations, or advice to him as he takes this less traditional musical path? ML: I would love to hear what he's doing. I played through the Memory Man on Kurt's Smoke Ring for My Halo and it's a cool sound! I would say to just keep bringing our instrument into the modern world and advocating for it and experimenting with it. There's so much untapped potential. I’ve known Chris Rossi for at least 18 years: He lived with several of my former bandmates in a large house in Durham, where he built a small recording studio and a workshop. From time to time, I would enter that house and hear strange sounds coming from his side of the house — he was always experimenting with noise. In 2013, Chris decided to turn his hobby into a business, and Dusky Electronics was born. Amps were the first venture, but he has created a line of pedals that hold their own in the world of boutique tone. I talked to him after trying a few of them out, including the brand new fuzz pedal, Hypatia. I quickly became enamored. The following interview has been condensed and edited. Pedal Fuzz: I know you had been dabbling in recording and building electronics for a long time, but what made you decide to jump into the world of boutique pedals? Chris Rossi: When I started Dusky Electronics, my focus was on amplifiers — specifically the D₂O Amplifier. I also started designing pedals around this time; I designed the Toasted Drive and the Octomotron, but those were really just for my own use and edification. But, as soon as I built them, I showed them to our friend, Zeke [Graves], and he was like, “How much?” So then I got the idea that maybe I should sell pedals too. The R&D cycle on the pedals was much faster than on the amplifiers, so I could get a couple of pedal designs ready for production while waiting on other things to happen for the amplifiers. I figured having something I could offer at a lower price point than the amps couldn’t hurt, too. People are far more likely to take a chance on a $175 pedal than a $1500 amp. But, really, still, the impetus is I get interested in something for my own use. I get it to where I like it, and then I invite other people to use it. PF: What type of hurdles were there to getting your pedals heard in a fairly saturated market for sonic manipulation? Especially when you aren’t offering the type of things that a company like EarthQuaker is — was it a challenge to get your pedals into the hands of people who might help sell them? CR: Yes, it still is. I think I’ve given myself an uphill battle for a couple of reasons: 1) I’m not offering pedals that do really wild things — they just sound good and are musically useful. So I can say, “Here’s this overdrive — it sounds really good,” and that’s a hard sell, because there are tons of overdrives. 2) I’m not basing designs on already known reference points. I’m not interested in making a tweaked Tubescreamer or a Klon clone, but when you can give people a familiar point of reference, it can be a lot easier to market. Add to this the fact that I got into this because I was good at designing circuits, not because I know anything about marketing a product, and yeah, it’s been difficult. I’m still trying to figure it out, but I’m getting better. I’ve done a much better job of launching the Mandorla, for example, than I have for any of my earlier pedals, and I’m seeing better sales as a result. At the end of the day it still has to sound really good and give people a tool they can actually use, but you have to figure out how to tell people about it as well, and that’s been a steep learning curve for me. PF: How have you figured out how to tell people about it? CR: Ha, well, that makes it sounds like I have it figured out. One thing that really helped, was Jon Levy, the publisher of Premier Guitar Magazine, called me out of the blue one day. I assume he does this to any new builder he notices. And what he did was he walked me through some things that in his world are very obvious: how and when to write a press release and send it out, how to solicit reviews, etc. It was an extremely kind gesture, to recognize someone who was making an interesting product but who probably didn’t have any idea what they were doing on the marketing side, and to reach out and have a conversation and lay down some knowledge. One of the lessons learned is to coordinate a marketing push with the release of a product. When I started, I put up a website, started selling stuff, and then, very slowly, tried to figure out marketing. By the time I was reaching out to folks and asking for reviews, I’d been selling some of this stuff for a year, which in their world is way too old. Never mind that it would still be brand new to the vast majority of their audience — it was still old news. The Mandorla, in a way, has been my first opportunity to put some of these lessons into practice — I sent out a real press release, I submitted solicitations for reviews, I got them to video demo people, all right before actually putting the thing out for sale, so there was a much more coordinated effort that wound up having a much bigger impact. It’s still very much small potatoes in the grand scheme of things, but it’s improvement and it’s growth, so I’m happy. CR: Yes, I do have some wild ideas, actually. When and if they pan out, I’ll let you know what they are. I actually made a video about how the Octomotron works. The short answer is, it rectifies the audio signal. This isn’t a new idea, and is the same basic principle as the Octavia of Jimi Hendrix fame, although the implementation is different. PF: Have you gone back into any of the designs you’ve made for these pedals and tweaked them, knowing what you know now about how people use them and how they sound? Or would you want to? CR: I haven’t, yet, but it’s likely that in the near future I’ll look at updating the Toasted Drive and maybe the Octomotron. I do have some new ideas and a little more experience under my belt at this point. PF: Are there any pedal companies around today that you are fond of or inspired by? Are there any musicians pushing sound forward that you feel the same about? CR: When Electro-Harmonix came back in the early ‘00s and started doing new pedals again, that was pretty exciting. My next pedal company crush was Catalinbread. Before I ever designed anything of my own, I built a few Catalinbread clones from schematics I found online of reverse engineered pedals. I had a lot of respect for their tacit support of the DIY community around their pedals, which wasn’t something you saw a lot of universally. Recently, the people that used to work there all left, so I’m not sure what’s in store for the company. I have a definite nerd crush on their former chief designer, Howard Gee, though, and I look forward to seeing what he gets into next. Earthquaker is awe inspiring for the sheer number of really good sounding and innovative pedals they make. Lately, Old Blood Noise Endeavours and Chase Bliss Audio are both really interesting companies doing really cool things. As far as musicians, I’ve been a huge fan of everything Nels Cline for a long time. First saw him when he came through on a tour with Mike Watt, I don’t know, close to 20 years ago now, probably. I’ve been a big fan of Deerhoof for a long time, too. The common thread, there, I guess is taking the fabric of rock and roll and making something new out of it, something inspired, and something unexpected. Technology, like pedals, plays a role, but at the end of the day it’s their genius that’s really moving things forward, not the tools themselves they use to do it. I’ve also, more recently, been taken by Nick Reinhardt and his work in Tera Melos, not to mention Big Walnuts Yonder, just to bring everything full circle again, with Nels and Watt. Juan Alderete is an interesting figure--you don’t normally see people applying that much technology to the bass, but he takes it and runs with it. I’m a big fan of most everything Dan the Automator does, and most of his collaborators. In terms of just blazing new trails with regards to the organization and manipulation of sound, I think the contribution of hip-hop is often underappreciated by the rockist crowd — some of the most innovative and forward-thinking people in music today are working in hip-hop. Adrian Younge is a more recent musical crush for me — like a lot of people, the Luke Cage series on Netflix introduced me to his work, but I just love what he’s doing with his amalgam of hip-hop, soul, funk, spaghetti western, etc. And all the elements sound great, too — I’d love to be a fly on the wall to see how he gets his drum, bass and guitar sounds. Dusky has just released the Hypatia, a distortion box capable of blown out fuzz to ragged overdrive. This box has been making the rounds at trade shows and has already generated a bit of buzz for itself, with astonished players asking, "Wow, when does this come out?!" Well, the answer is - now! PF: I agree with what you’re saying about technology vs. genius, but there’s also something to be said for the epic shifts in music just in the last decade as a result of technology. The tools do become an extension of the musician at a certain point, and sometimes genius doesn’t have the ability to think up the types of sonic worlds that effects can produce. CR: Yep, true enough. Take Nick Reinhardt, for example. It’s not like he could compose a piece of music, then go, hey, the Earthquaker Rainbow Machine will let me do that. He had to already be using that pedal to even compose that music. By the same token, few people take these pedals and do something half as interesting with it. I guess we’re both right. PF: How was Moogfest for you as a marketplace vendor? CR: I’ve been to few enough of these trade shows so far, that it’s hard for me to compare. I think it went well. I was sharing a booth with another Durham-based pedal builder, Rabbit Hole FX. For what was essentially a synth expo, there were a shocking a number of folks that came through and tried out our guitar focused gear, so that’s pretty cool, really. It was fun to get to know some of the other vendors — everyone I spoke to was very kind and it felt like a really supportive community. It was four eight hour days in a row on my feet and pretending to be an extrovert, so it was pretty exhausting, but fun exhausting. Horizontal Hold make enthusiastic off-kilter noise-pop that carries the flame of the great indie-rock outfits of North Carolina of the 1990s. Which makes sense when you consider the band is made up of NC music scene veterans of bands like Analogue, Shiny Beast, Wembley, In the Year of the Pig, and Cantwell, Gomez & Jordan. Their new album The Silence was recently released on PotLuck. The Durham-based band sat down with Pedal Fuzz over a few beers before a show at Monstercade in Winston-Salem, NC. While a small dog nipped at their heels, they poked fun at each other in the way that only friends of many years can effortlessly pull off. The following excerpts have been condensed and edited. Pedal Fuzz: Your music feels like part of that North Carolina indie rock lineage, but there are also a lot of different things going on. How did you arrive at your sound? Dave Cantwell: We didn't have an aesthetic deliberately in mind. We just play the way that we know how to play. I play guitar in the band (ed.note Cantwell is known for playing drums), but I can only play in the way that I play in this band. We all come from rock bands and that background, so we kind of generally knew what it would be like. The band started because Kim Walker and I wanted to do something together musically and we weren't quite sure what. And I think that she wanted me to play the drums initially, but that's not what I wanted to do. So we started playing with me on guitar and her on bass, and then Kerry Cantwell (keyboards) came then Elizabeth Hammond (drums). We never said, “here's what it’s going to sound like,” we just kind of had some jams and they wound up sounding like we do. PF: Your songs seem to be about really particular, very specific things. Another one of the unique things about you guys. No one really writes lyrics like Kerry does. Kerry Cantwell: I write the lyrics after the whole song is finished. Our songwriting process is very, very organic. There's not a songwriter, so the way we kind of build the songs is Kim and/or Dave comes up with some kind of riff and brings it to the group and we all build upon it and then once we have it all set the way it's going to be then I'll write lyrics that fit into the individual pieces of the song. So the songs are not written to be sung over. The singing is more just frosting. PF: One song that really stands out from your first record is “All In A Day's Work,” where you're talking about a student asking to borrow a pencil. That's when I first noticed how unique your lyrics are. Kerry Cantwell: I'm a community college instructor. And it is hard, poorly paid work. And so that song is just kind of about what my day is like. Oh there's so much content in the classroom. You could write really sad songs, really sweet funny songs, or really traumatic songs [about it]. PF: How important are particular instruments and pieces of gear to you in the writing process? Dave Cantwell: When I'm working on music it's always electric, and it's usually at my house. I just like the sound of my electric guitar amplified loudly. That's a way for me to test to see if things are going to sound cool at all. When songs are in their genesis it's often Kim and I bouncing ideas off each other. I don't think we pay a whole lot of mind to the instruments themselves; it's just more the parts and how they sound. And I think that we tend to write lines that kind of meander around each other and complement each other, but at the same time sort of crooked sometimes. And I guess that has something to do with the sound of them, but I don't know if it's that conscious. I mean, I put a lot of thought and time into how my guitar sounds. Like a lot of folks I am obsessed about that sort of thing. But once it comes time to actually play and write a song maybe not thinking about it quite as much. PF: So when you're obsessing over it what are you adjusting, what are you changing? Dave Cantwell: I have this sort of paradoxical notion of where I want it to be very simple on the one hand - I don't use a lot of effects, I don't have any tone knobs on my guitars, I want my guitars to have basically one sound - but then I want that sound to be adjustable by how I play. Basically the dynamics. So if I play harder it sounds more aggressive, if I play lighter it's quieter of course. And I spent a lot of time trying to get that sweet spot where I can sound a little bit overdriven if I need to and still be heard if I'm playing quietly. So I spend a lot time dealing with that. I like the sound of a Telecaster through a tube amp. I’m trying to find the definitive version of that. It's a good tool because I can control how I sound, but I don't use a lot of effects or anything really. PF: What was working at The Fidelitorium with Missy Thangs like? Was she offering guidance during the recording process? Elizabeth Hammond: I would say that Missy was so good at just trying to make us feel comfortable there. And she's a really great manager of people, which I think is a huge job of anybody who's engineering in a studio. And also she was really good at giving us really graceful feedback. Kim Walker: It was like the therapist model. As in, "Do you think that that was your best take? Well how do you feel about the take?" Rather than, "That take is great," or whatever. Her approach for giving her opinions was really more about facilitating. She was more concerned with us getting what we wanted out of the process, and letting us fix our own problems if there were any. *Look & listen for our full and laugh-filled interview with Horizontal Hold in an upcoming episode of the Pedal Fuzz podcast. Helen Money is the musical nom de plume of cellist Alison Chesley. She plays her instrument with an unrivaled ferocity, and through her technique and an armada of effects pedals, she creates a wall of sound that’s both heavy and haunting. She has toured extensively and collaborated with an incredible array of musicians, including Bob Mould, Shellac, Neurosis, Sleep, Russian Circles, Magma, Agalloch, and Earth. 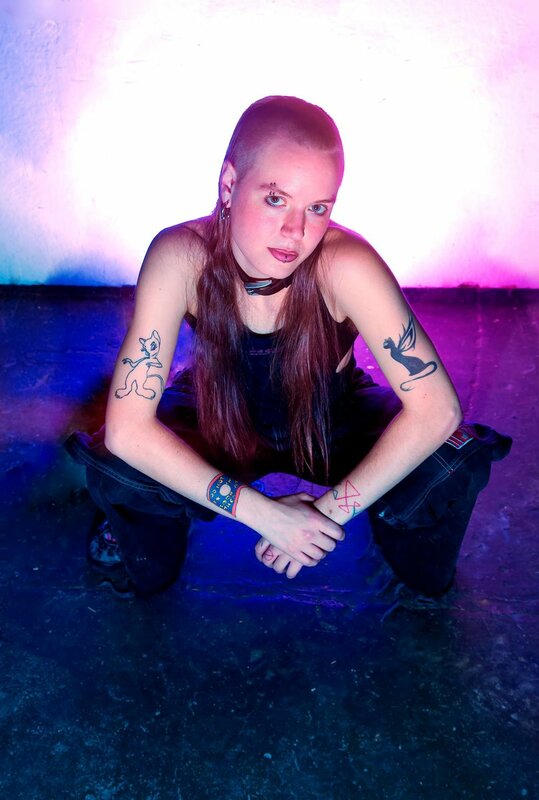 Her latest album Become Zero, released on Thrill Jockey Records, was written after the death of both of her parents. The eight tracks that make up the album are startling in their rawness, and captivating in their grace. She called on drummer Jason Roeder (Sleep, Neurosis), Rachel Grimes (Rachel’s) and co-producer Will Thomas to help realize the vision for the record. Pedal Fuzz spoke with her at Moogfest 2018, where she not only performed a blistering set, but also led a workshop where she shared her story, and explained the technical details of her unique stage setup. The following excerpts have been condensed and edited. Pedal Fuzz: I read that you were classically trained, and only listened to classical music until your early 20's. So what turned on your ear and made you want to go into the rock realm with what you were doing? Helen Money: Well, my brother and my sister were both listening to a lot of rock music. And my brother kept playing stuff for me, but I never really got it. And then one day he dragged me into his room and he had Who's Next on his record player. I remember him dropping the needle, and I heard the music for the first time, and I thought, "Oh, I get why he loves this stuff!" Then that's all I wanted to do is listen to rock music for like the next 10 years. PF: Do you think it was the visceral impact? HM: Yeah, it was visceral, and epic, and very 'heart on your sleeve' you know? And just big. Those big guitars, the whole sound. It just all really spoke to me. PF: So after that what did you get into? I guess that was kind of like a gateway drug into other music. HM: Totally. I grew up in L.A., and had a friend who was hooked into this scene around this record store out there, and we would go see a lot of punk rock shows. We saw Minutemen a lot, and Meat Puppets, and we'd see Henry Rollins do poetry readings. So I was kind of in that scene. It was still loud, visceral, guitar-driven music. PF: So when did that affect your playing and when did you want to start manipulating the natural sound of the cello? HM: Well I never made the connection between playing my cello and playing music that I liked until I went to grad school. And I met a friend who was covering Bob Mould's Workbook. So he wanted a cellist to play with. And he was also doing his own stuff. So Jason Narducy and I got together (ed. note - as Jason & Alison, then Verbow). I was in grad school, I was going to get a doctorate in teaching cello somewhere. And we just started to play - we had no idea what we were doing. I just had a pickup on my cello and I had a little Peavey amp that sounded awful, but it was just the two of us playing as hard as we could. I had no idea I could play the music that I really liked. So once I realized I could, then that was just what I wanted to do. PF: When did you start incorporating pedals? Do you remember the first pedal you got? HM: Yeah I had a Rat distortion pedal, and then I had a digital delay. Then I tried a chorus, and I didn't like it. I didn't really like envelope filters. So I pretty much decided delays and distortion is where it was at for my instrument. Because of the nature of the cello, it doesn't always sound good with certain guitar pedals. I kind of stuck to that and I've just experimented with different delays and distortions since then. PF: Then you started looping. HM: Right, and the way I do the looping is very structured. It's not the typical layering, and building a song horizontally. When I use the loopers it's more like "this is going to help me play this part of this song, this looper’s going to bring in this part." So that's kind of how I've always used them. They've helped me to just play solo and not have other members. Not that I don't want to, but that's just kind of how it happened. I have three Boss RC-30 Loop Stations actually that I play with. I'll run one of them direct to the PA system with drums or piano on it. So one moment during the song I'll kick that in, or I'll have noise on it and I'll kick that in. So it's like part of the whole sound. Then I'll have two loopers, with parts that comes in during the verse or chorus. So I'm playing along with them. None of those loopers go through the same channel as my cello, so I can't even layer over them. PF: Let's talk about your recording process, which has changed in the past couple of years. You've done lots of recording with Steve Albini at Electrical Audio - what was it like working in that studio? HM: It was great. It's a beautiful building with great acoustics. And Steve's a great guy. The thing that's a challenge there, is that you're recording to tape. So you really have to focus on getting a performance from Point A to Point B, and not doing what Greg Norman calls 'a cloud of tracks' that you have to filter through. So that was a challenge and I really enjoyed that. But then when I moved to L.A. briefly I met Will Thomas, a guy who's doing more kind of ambient stuff, and he was also an engineer. I decided with this record that I was just going to get the sounds that I wanted and worry about how I was going to perform it. So that was a totally different approach for me. It was all digital, but I really ended up loving how it sounded. I did record the drums in a regular studio, but otherwise it was just just me at at Will's studio on a computer. The thing that was cool is Will does a lot of stuff with sequencers, and he's also got a modular synthesizer, so he would take sounds from my cello and treat them and then we'd make a background bed for them. It was really fun, we had like a little laboratory to experiment. It was really intimate and really fun. I still felt the pressure to perform well, but we could kind of have a little more fun and make up sounds. PF: So when you translate those pieces live, does that present any new challenges, or do you restructure songs? HM: I kind of just pare stuff down. There's a couple of songs where I've downloaded the drum track that my friend Jason Roeder played onto a looper. And so I kick that in at one point. I always worry it doesn't sound authentic, but I think it fits in with my overall sound ok. Also some sounds that Will created with my cello are loaded onto a looper, and I can bring those in. They kind of creep in and provide an ambience behind what I'm doing. So that's kind of how I managed translating the record to playing live. PF: So the new record Become Zero is a deeply personal record. I'm curious in the writing of that - how do you translate emotions to your instrument? Are you thinking about something, then pick up the cello? Or is it more like you're playing, then threads start connecting? HM: Well, when I write I look for a sound, and a sound will evoke a feeling in me. So I don't set out thinking, "I want to write a song about my dad, or my parents." I'll just start writing, and then something might remind me of them, so it's really more about looking for a sound. And for me that's often in my pedals, or maybe from the piano, and sometimes drums. PF: What are some of the pedals that you're using now? HM: For distortion I've got a Way Huge Swollen Pickle, which is a big fuzz pedal. I also have a Fulltone PlimSoul Overdrive, which has more of a boosty kind of deep sound. And I often use those together. I've got an Electro-Harmonix Micro POG that I like to use, and I've got two delays now - a Strymon Timeline delay and an Empress Superdelay. PF: Do you use any extended technique when playing cello? HM: Yeah, the one thing I started to do that I really like is playing with a guitar pick. So I can do a tremolo with the guitar pick on the cello, and then also just strumming with guitar pick is a really powerful sound. PF: Yes, Batwoman! But it made me think - you could be doing anything with the instrument, but you’re steeped in minor, dense music. What is it about that kind of sound? HM: Yeah I just like that dark, emotional stuff that takes you somewhere. I've always liked Shostakovich, Dvorak, Bach. I just like stuff that makes me feel something, and I just find it more interesting, the colors are more interesting than something that's happy. 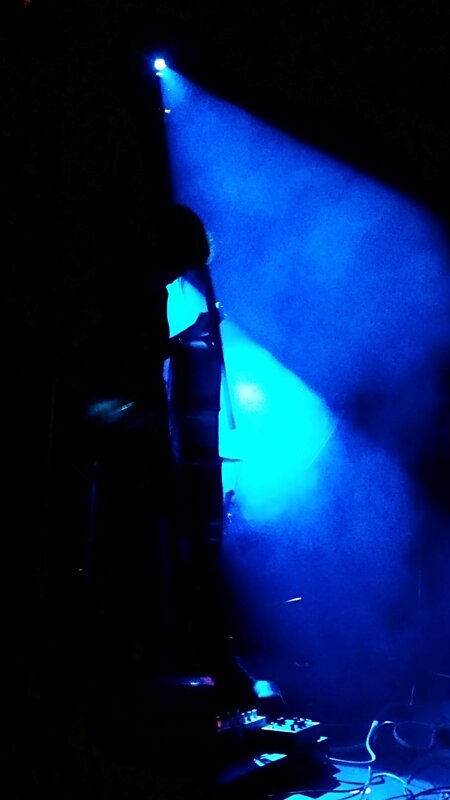 And the cello lends itself to that, it's kind of a dark instrument. Pedal Fuzz's Eddie Garcia sat down with Parish at the Big Ears Music Festival in Knoxville, TN in the spring of 2017. This is Part Two of the conversation. You can read Part One here. Eddie Garcia: In your solo set you played older, traditional songs, but in your own way. Tell me about creating these reinterpretations. Shane Parish: When I was recording that album of those folk songs, the engineer and producer David Allen that I was working with talked about how it's like trying to find this ‘third way.’ Trying to get this take that comes across as effortless, yet there's arranged elements to it. But I need the spontaneous aspect in order for it to feel alive and inspired. And so it's a matter of letting go. And I think I came to a place where I really did just that - I wasn't trying at all. I wanted to mention that I have had a teacher who I've seen once a year or once every other year for the last few years. His name's Freddy Bryant, and he's a great educator. An amazing jazz, Brazilian, African and classical guitarist who's at Berklee. But he comes to Asheville to visit his daughters like once or twice a year. And so I started to catch up with him. And I'll do one lesson and it'll completely change my sense of what I'm doing. I could still reap fruit from the things that we discussed in a single lesson. It's nice to have someone like a master, a guru, you know? He was able to look at my hands and notice. You know like things at high tempos, or I wasn't being accurate or I wasn't planting quick enough. He was really just helpful and fine tuning what I was doing. EG: Something I’ve come across is musicians being either super technical/trained players, or living in fear of learning too much. Like their inspiration could be stifled if they knew how to define it. You seem to have figured out how to ride a line between both schools of thought. SP: I know exactly you're talking about. It’s that “I don't want to lose the mystery. I don't want to lose the magic, I’ll lose my creativity. And I if I start learning theory or if I start to improve my technique and know too much of what I'm doing then I'm not going to be able to be creative.” And I get that. That’s part of the reason when I do a lot of free improv stuff I'll detune my guitar so that that I'm less familiar with it so that I'm not imposing my matrix of concepts onto it. Standard tuning can be limiting because it's “oh no I'm playing a diminished chord now I’m playing a C6,” that’s not where I want my head to be when I'm responding in the moment to someone. But I also find that the more you learn, the more your technique improves, and the more effortless you can become, and the more you know, the deeper the mystery. It doesn't stop. I'm still completely mystified the more I learn. I think that the area of timbre is being under explored for guitar players. Not just through the use of FX pedals, but like, what is it to touch the strings, like what I do with classical guitar and solo acoustic guitar. I see the benefit and knowledge in Ahleuchatistas now, like how I can articulate a line differently, or I hear the same song differently from working on a fugue because you have to try to articulate both sides of the line. It just makes the music more expressive - you change the slightest thing about an accent in a different place and the whole thing changes, you know? And these are subtleties that you will never know. You're not going to exhaust your ignorance. Does that make sense? You'll never know at all. The abyss will just deepen on you. So I feel even more mystified and inspired to keep going because I think it's just endless. EG: Let’s talk a little about your live setup. With Ahleuchatistas you’re splitting off to a bass amp, right? SP: Right. I’m not really splitting - I’m just daisy chaining the amps. I just run out of the input of channel two of the guitar amp in to the bass amp I haven't gotten so hi-fi yet that I’m splitting signals, it might happen! I just need more low end, more bass. If I hit the octaver, the guitar amp is gonna break up. And if I’m looping a bunch of stuff I’m gonna lose all the parts, it’s gonna get muddy. So I just started using a bass amp also. EG: You maintain your clarity as you build parts. How is it you’re looping and building so much without it getting muddy? SP: A lot of trial and error. So you can get in an organic-like action/reaction state with it. Because yeah, you can start looping and layering things and then the next thing you know it's just run away from you. You can have feedback, things out of sync. So my process with Ryan is we will record our shows while we're on tour and then we'll listen the next day on the car ride to the next gig - and we've done this a lot - and we criticize it. You know we say “well this could be improved upon by this,” or “you need to stop, don't loop that much there,” or “can you play that quiet?” Constantly fine tuning. Most of our rehearsal is just conversation about how we can improve upon the last show. You have to go out there and play. You have to screw up in front of everybody in order to develop. So making enough mistakes, you kind of start to correct things if you criticize them and listen to them. EG: You two are fused, impeccably. Do you do all the writing together, or do you come with some ideas? SP: I come with some ideas. It depends on what period we're talking about or what songs, but some we’ve written together. Some of the more through composed things I've written out. But it's really important for us to play together and kind of bounce off of each other and see what it sounds like when we're both playing. Because it's just guitar and drums, so it could sound really empty or could sound too looped out and really muddy. And we've made all those mistakes where you just kind of lose the clarity or you can't hear the main thing and you get out of phase with the drums, all that kind of stuff. And we talk about it and try and correct it. EG: What looper do you use? I use the Boss loop station. Yeah I've had the same one forever I can't believe how these things hold up. I've had it for...I want to say 17 years. The same one. That's crazy. Because my friend gave it to me when I lived in Florida before I went to Asheville - I've been all over the world with that thing. I can't. I had a panic on the way to Big Ears where I was like “is my pedalboard in the back?” Like we're going to get there and it's just a guitar. I mean surely we could do some kind of improv thing, but we actually have songs and we try to reproduce them as powerful as possible every time. You know, I admire that about seeing a really hi-fi bands like Radiohead where it's like “I want to see Paranoid Android executed perfectly,” you know what I mean? That's just amazing to me that you could do that. And so I kind of want to do that. But then we also have an organic kind of looseness so that we can have spontaneity about the performance every time. You know, the jam aspect. But you know in our way. EG: Lets talk about pedals, take me through your signal chain. So I start out with an EHX Freeze. Then to a Blackout Effectors reverb pedal called Cadavernous. They’re a great boutique pedal company out of Asheville. I did a demo for them a few years ago. EG: Some of those guys are in Nest Egg, right? Yeah that's right yeah. Kyle's in Nest Egg. And yeah they're awesome. And so then I go into their FUBAR fuzz pedal, which has some nice chaos elements. I like their pedals because they have like a certain chaos element to it. There's some parameters that you can get in the danger zone with, you could ruin everything! It's awesome. There's a learning curve but it's very wayward and strange. And then that goes into the EHX Pog, just the basic one. I actually use two octave pedals. It goes into the Boss Super Octave. Sometimes I'll double up on them. I like the distortion on the Boss, so I'll combine that with the Pog. And then I'll put the higher octave in there too to get this kind of weird sounding thing that just cuts through, it's super fat. And then that goes into the digital delay, into the volume, into the loop station into a Supa-Trem tremolo pedal. So the last thing is that tremolo because I have a couple of things where I like to cut up the signal. Like a wall of sound, it has a really hard trem on it. Like chok-chok-chok-chok-chok you know. So we use that rhythmically for a couple parts of the show. If I'm playing with someone else I'll move that pedal. I'll move it to the front, first in the chain if I'm playing with more like a jazz kind of thing. In case I want to leave something like a loop or a nice Morricone-esque kind of thing. EG: Can you change the rate with an expression pedal with that one? SP: I think so but I just kind of bend over and do it. I actually etched a line for one of the songs that was on the last record that we played in our set. So that the tempo is right so Ryan can instantly hit that at tempo and it becomes this super hypnotic kind of weird zone of space jams. EG: Do you do much recording of ideas at home? SP: I've just recently started home recording - and I realize that I'm almost 40 and now I'm going to start recording like I haven't really done that before (laughs). I got the MOTU MicroBook and run Logic Pro on my computer and put a SM57 on my amp. And it sounds great. That's all you need to record electric guitar. That's how we did all the post-production on the last record. We went to this studio in Chicago and recorded basic tracks, no loops because Ryan could play the drums and we could do it in real time. So there's an organic way of playing I'll just do the basic track in real time and then I'll go back and do all the looping so that you can also have a stereo image of all the loops, so it's not just a flat loop signal that you have no control over. So I did all the post-production at my home direct I didn't even have the SM57 yet. EG: Straight into the MOTU? SP: Yeah, it sounded good. And then our producer David Allen you know he just kills, he did a good job putting that together. It was fun. It was great to do it. The luxury of convenience. You know I did a lot of writing in that process. I actually wrote a lot more of the music in that process and then re-learned it and that's how we kind of evolved to our current state of having much more counterpoint and melodic interest and intricacies, because I took two months in post-production in my home studio, writing more nuanced elements to the music and learning them and then we start playing them live. Before we were working in a more block form improv format, where the songs would be slightly different every night. Now the challenge is to learn and try to execute the post-parts like the record - which we can't always do but you can do something powerful I think - and get close. There's certain things I probably could do that I would have to practice a lot because you'd need such fast looping and killing of loops. I just haven't pulled it off yet. SP: For sure. Yeah for sure. Well the very first thing we ever recorded is our song. Israel was the first thing Ryan and I ever did together and that was what we opened our show last night and it's kind of our traditional opener and like that recording came out great we did that Ryan's bedroom. He had been living in Nashville for like three days and then that became like a song. Once we evolved into the duo and it's just it's a great indicator of our relationship is like because we had just met and that was the first thing we ever did and it's kind of like a mainstay for us and I think people like that song and it's just. But. But that production it's kind of like how we didn't know. EG: Were you playing the Squier J. Mascis Jazzmaster last night? SP: Yeah yeah yeah. Love that guitar. EG: Yeah it’s great, and it's inexpensive. What do you like about it? SP: Well it's really beefy. You know it's got a super fat signal. I recently switched to a 10 gauge strings from Nines which helps. Last night was the first show I did on the tens. I finally got so strong I think from playing steel for the last year and a half so often. Now the nines felt like nothing but now the tens don't slow me down like they used to I try try to before. There's just a clarity to the Mascis guitar. Like you were talking about how everything was clear, I think that everything comes out on that guitar like that. And it has a robust sound. It’s a percussive guitar, you know, you could just smack it and it responds beautifully. EG: Stock pickups? Did you change anything about it. SP: All stock. I don't know what the hell that one switch does though. That top left switch, all it does is like prevent me from being able to use my volume knob and it drives me crazy if I accidentally hit it. I looked it up once but I didn't read too deep into it, so I just try not to touch it. Since I've got it I've also started to use the “tremolo rod” as you Americans call it. Oh no wait - that's what the British call it (laughs). The vibrato, the whammy bar, the tremolo. But I use that a lot now. I don't use it in Ahleuchatistas yet, but I use it in other projects because it's really fun. I've never used one in my life. I just thought they were going to make the guitar go out of tune and I've never been interested. But now I'm like ‘this is awesome’. You know it does hold tuning. EG: I have one too. SP: Oh nice man! Yeah that's cool. It’s becoming a really popular guitar. I went on tour last year and everywhere I went people were like “I want one,” or “I have one,” you know and they're inexpensive and here's the thing. I was playing a Telecaster before and my house got robbed. It was a drag and they stole my Telecaster and a flat screen TV and I was super bummed out. And then I went to the music store you know and I was ready to just drop money that I didn't want to spend on a nice new telecaster. And the manager of the store who I know says “I think you’ll really like this Jazzmaster. You know, the J. Mascis.” And I just instantly fell in love with it. And he undersold me on this. I was going to spend like $1200 dollars or something and this guitar’s like 400 bucks and it's my favorite guitar I've had. EG: What tuning do you start with in Ahlecuitistsas? SP: I start in standard. I'm pretty standard in that band. Standard down to Drop D, one song I drop the b to an A. But I haven't done a lot of alternate tunings with that band just because of the cumbersomeness of changing tunings probably. I've written a lot of stuff that I think would sound good in Ahleuchatistas. Just like in my notebooks. Now that's that has a lot of alternate tunings that I might bring to the table. But it's funny all the stuff we're working on now still in standard tuning. EG: Your solo set seemed like it was in open tunings. SP: Yeah, open tunings, I’ll change the tuning more often in that set. In my duo with Tashi Dorji our songs - in quotes - are the tunings. So when we do a show he tunes the guitar a certain way, and I tune to him, then next he tunes to me, and it's pretty randomized. But that becomes the palette of the improvisation. And so that's been kind of a fun way to to work. That's how we've always worked and we don't talk about it or anything (laughs). The thing about making an acoustic guitar resonate with open strings and playing in a tuning that’s the key of the song is cool. Notes ring in a certain way. It presents new perspectives and challenges, and breaks you out of your patterns. Or makes your patterns sound different. It’s limiting too, it’s a lot of fun. EG: What kind of acoustic do you play? SP: A Taylor. When I got it I was playing like this like old Harmony that was like really rich in character but like extremely difficult to play. And I didn't know it was difficult to play until I played my friend’s Taylor. I was at a friend’s house in France and he had this Taylor and I played it, and I think I literally wept. I was like “Oh my gosh, I didn't know that I could actually play at all.” I was fighting with this other guitar. The Taylors are so easy to play- work smarter not harder! My nylon string guitar which I actually probably play the most but only mostly gig kind of for private gigs or you know society gigs and stuff and I teach on that guitar. The classical guitar is in Alhambra 5P. And that's a really nice guitar. A company from Spain. You ever check those out? It's a great guitar, cedar, it's an awesome guitar it's so beautiful. They're from Spain but they have a warehouse in Woodfin, which is outside of Asheville. It's their distribution point for the United States and there's a dealer in Asheville who you have to go through called XGuitars. EG: What’s coming up next for you? SP: Retooling, and writing new music. I don’t want to be on the road too much, I like being with my family. I’ll do some touring, and some gigs in Asheville, but I wanna do things that are special. I’m not slowing down by any means; I’m retooling, preparing for the ‘evolution’ of everything, moving everything forward. And I feel like with pacing, I don’t feel the sense of urgency. I’d rather focus on the finest detail. Cause what I’ve come to realize is that’s the stuff that has the most impact. I want to work in a meticulous fashion so in a year or two the performances will be on a whole new level. Earthquaker Devices make pedals one-at-a-time, by hand, in the "idyllic post-apocalyptic wasteland metropolis of Akron, Ohio." Their philosophy is that pedals should be "simple and user-friendly, with lots of practical, useable, and musical sounds, but should also be a launchpad for sonic exploration and aural innovation." Moogfest's Modular Marketplace was home to a full range of Earthquaker pedals, all available to be demoed/played with via synth and guitar. One of the EQD employees running the booth was Ben Vehorn. Ben is a pedal builder, product specialist, and recorder of audio demos for Earthquaker Devices. Pedal Fuzz: How did you get into pedal building? Ben Vehorn: I had done some DIY stuff before. My friend Jamie runs the company, and when he was starting to not have the bandwidth to build them all himself, he started hiring his friends. So I started building pedals for him. PF: What are some of the recent pedals you’ve been involved with? BV: The newest one is the Erupter, which is what we call “the perfect fuzz.” It's a single knob fuzz - the knob controls the biasing. In the middle it’s what we consider to be the perfect position. As you turn it up it over-biases the circuit for more sustain and a smoother fuzz. As you turn it down below the middle position, it gets a little ruder, and gate-ier, and spittier. Before that we put out the Space Spiral, which is a vintage voice delay with a modulation section. And the modulation section has a continuously variable. Waveform that goes from a triangle wave to square wave or anything in between. It’s a very tapey-voiced delay. There's a really large sweet spot in the repeats where you can get it on the verge of self-isolation without going out of control. So it's kind of nice that you can dial that in without it being too fiddly. Although it will go into self oscillation if you turn it up all the way. PF: There is a pedal here on display called Spatial Delivery. When I played through it, I liked what it did to my sound, but I’m not quite sure how to classify it. You have a few pedals like that! BV: Right. Well it's a filter pedal. It's an envelope filter pedal. So it gives you a swept bandpass filter that is controlled by the dynamics of your playing. As you play harder the filter opens wider, or it closes down more depending on the mode setting. There's an up-sweep where as you hit it harder it sweeps the filter open. There's a down setting when you hit it harder it sweeps the filter down. But then in the middle there's a sample and hold setting which is a random step modulation. So it's good for making those robot speaking noises. PF: Are EarthQuaker pedals undergoing some sort of redesign right now? BV: Yes. So we used to use the manual clicky footswitches and about a year or two ago we started redesigning our pedals so that all the new ones have soft touch, relay-based foot switching. And we’re going through and redesigning all the old pedals to have the new relay-based footswitches. So far we've done probably about half of the old lineup. Every four to six months we do another four or five. So within the next couple of years we should have them all ported over to the new footswitches. They're less prone to failure. Since we do have a lifetime warranty on all our products that's really important to us to have less stuff coming back. We stand behind our product but we can't guarantee that a mechanical footswitch will last forever, because they just don't. But a relay based footswitch will. PF: How has your Moogfest experience been so far? BV: Moogfest is great, there’s a great bunch of people here. We love the Moog company, we're all synth heads - I’ve owned Moog synthesisers for 20 years. All the people that work for them are really great and they're very helpful. The show's been amazing. We've been very busy. A lot of people coming by, a lot of people that are interested in the pedals. We usually do guitar shows, but we really like being able to do the shows too where we show them off with synthesizers and drum machines because a lot of us do experimental music or recording or cross-platform type stuff. So it's a nice element to be in. PF: Any musical acts you’re looking forward to seeing during the festival? BV: I'm personally really looking forward to seeing Suzanne Ciani. She's one of my musical heroes and I'm excited to see her. I'm excited to see Container, he’s from Providence Rhode Island. He does really good dirty techno on the Spectrum Schools record label. I'm hoping tonight to be able to go see Simian Mobile Disco. I've never seen them before and I think they will be pretty good. There's so much good stuff going on it's just kind of a question of how much bandwidth I have left at the end of the day. But I'm excited about all of it, and I'm going to make it out to see as much as I can. Tom Carter's electric guitar work weaves strands of melody, drone, fuzz, and charged silence into intricately detailed instant compositions. He performs solo, and in various collaborations, most notably Charalambides, which he co-founded with Christina Carter in 1991. His Three Lobed Recordings album Long Time Underground was named Best Experimental Record of 2015 by Pitchfork. 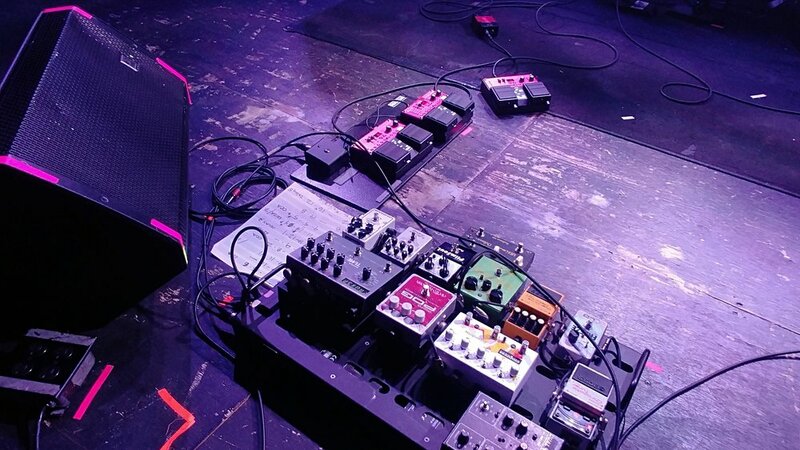 Pedal Fuzz spoke with Tom Carter backstage at Nash Hall during the Hopscotch Music Festival in Raleigh, NC, before he played an inspired set of solo guitar music. Pedal Fuzz: Your most recent album on Three Lobed, “Longtime Underground” - is it completely improvisational based? Tom Carter: About half of it is improvised, the other half is stuff I've been kicking around for years, writing and arranging as I would play them live. In fact I still work with those songs a lot and kind of change them around and rebuild them and tear them apart again. PF: What is the appeal to you of improvisational music versus structured music? TC: I don't have anything against structural music per se, and sometimes I like to play it, but I like the structures to breathe. You know there's this thing where a band like The Velvet Underground, they would have a song, but they really played with the idea of what a song is, you know? They would kind of use it as a launch pad to go somewhere else. I think there's this attitude of ‘we wrote this thing we can do whatever we want to with this piece of music.’ And I just like that attitude. I like knowing that you can change whatever it is whether it's a song or whether you're making something up on the spot. It's like the structure that any given moment is totally up to you, and you might or might not fall into patterns of one sort or another. I'm not really that interested in straight non-idiomatic, non-melodic playing. For whatever reason I find it’s not an area I’m really that gifted in. PF: While your music is free, compared to some other music that would get the “Free” association, you definitely tend towards the melodic, and it's more like you're searching out melodies. TC: I guess it’s more similar to jazz or something like that. Obviously what I play is not jazz, but sometimes I approach the compositions in the same way. I like a lot of early Impulse Records like Pharaoh Sanders, and certain Archie Shepp records and things like that. I like the way they're so expansive and they kind of of sprawl all over the place. And the way they just take a particular melodic phrase and kind of turn it inside out. That’s really interesting to me. PF: That being said, when you set out to record an album, like in the case of your last record, do you have certain themes or ideas in mind, then know that it's the time record it? Since you're doing this kind of hybrid approach of improv and working out things beforehand, how do you know that it's time to lay it down? TC: Well with this particular record I knew it was time, and I knew I had three pieces that were going to stand on their own as the backbone of whatever record I came up with. And I was lucky enough to where the improvisations I came up with were equally structured and well plotted, I guess, for lack of a better word. It just seemed like it was definitely time to record that stuff. But as far as other recordings go, it's been all over the map. A lot of times it’s live recordings, or a rehearsal I recorded that I really liked, or it will be stuff I recorded at home. Probably the majority of stuff I record at home, whether it's improvised or not. This record is a bit of an anomaly because it's also the first time I had songs that I'd been working on for quite so long - usually it's just either created in the studio or it's a couple of ideas I brought. PF: Are you working on them at home, or are you taking them out live and seeing what comes of them? TC: Almost always live. I don't play much at home with a full set up. I play acoustic, or I might play with different arrays of effects just to try and experiment with one aspect or another. But in general I don't play or practice the songs. PF: Being a solo pursuit, do you have anyone you bounce ideas off of? Anybody in your circle that you let know what you're working on, or do you just trust your instincts? TC: Of course the people I play with, they’re kind of always being sounded upon, although it's not often talked about. Otherwise my partner Rachel is often there when I'm playing. She has a good ear for when something sounds lazy, or productive…she can tell me when it was good basically. She's super supportive about it. PF: How important are pedals or effects when you're writing something? TC: A lot of times when I’m writing it’s on acoustic, and so that's a whole different story obviously. Those songs don’t often translate very well at all into the electric realm. PF: But you attempt to though? TC: I do, but the thing is, by the time I get to playing them all on electric they've changed so much – it also depends on if I’m bringing it to a group or playing it solo. I would say if I had to get down to one set of tools that really work for me when I improvise with other people - probably just a volume pedal and a wah pedal. The amp should have reverb on it, maybe vibrato if I'm lucky. PF: What kind of amp do you tend to use? TC: I like to use anything with two channels that I can control the volume separately, which is often a Fender Twin if I'm borrowing an amp. PF: So are you splitting out to each channel? TC: I run two different lines, split off from a stereo volume pedal. And at home I use an Ampeg with two separate channels but unfortunately I’m not often able to bring that out on the road. PF: Is it bigger, heavy, like a V4? TC: Yeah, and if any of my travels involve a plane at some point it's kind of inconvenient. If I’m just driving around the US and I don't have a ton of other stuff in the car I'll bring the amp. PF: Do you travel with one guitar or multiple guitars? TC: I've been playing the same guitar since probably 2000. I've played some other instruments since then, but that’s the main one I come back to. PF: So what is it? TC: It's a 1978 Ibanez PF 200. It's a line of Les Paul copies they did. They were making Les Paul copies that were so good that there was this rumor that Gibson sent them a cease and desist letter, although I've never actually seen any evidence that ever happened. They were definitely never sued – the model I have is called the lawsuit model, but there was never actually a lawsuit. PF: So it's a potential lawsuit model. TC: Yeah exactly. The ironic thing is with the model I have they switched from the Les Paul headstock, which was getting them into trouble, to basically a Guild headstock copy. It’s got the original Maxon super 70 pickups in it, which I really love the sound of. PF: Is there anything particular about the playability of the guitar that’s made you stick with it? TC: It's pretty playable. But it's not the most playable guitar I even own. I have another Ibanez that’s actually way more playable than this one, but it doesn't sound as good. But I've played the PF 200 so long that I know the fretboard really well and all the nicks and things like that. PF: Do you play in standard tuning? TC: Sometimes. I usually play in DADGAD. I do a lot of different tunings actually, but that's probably the main one I use. Standard probably second I would say. PF: So what kind of pedals are you using on the road? TC: So this is a slightly stripped down version of what I usually use. Ordinarily there would be a tremolo pedal. I like to play through an amp that has one channel with tremolo on it so I can then have the other tremolo pedal to have two separate tremolo channels going, but I'm down to one for this trip (amp tremolo). I also took out a kill switch loop pedal, the Memento from Dwarfcraft Devices. Essentially you can use it as a kill switch and it remembers what you're punching in with the foot switch. Then you can loop and speed up or slow it down, so it becomes this really kind of glitch, choppy thing. But I'm leaving that out. So what I have now is the stereo volume pedal, which my guitar goes directly into. I'm not running it in stereo, it's not being used to pan or anything like that. It controls the volume of both channels equally. So Channel 1 is a Fulltone Fulldrive 2 overdrive pedal. Then that goes into an Electro Harmonix 16 Second Digital Delay. It’s been modded so that it starts recording immediately when you hit the record switch. When I play solo that’s the heart of the set up, the looping pedal. PF: So is it engaging the delay function at the same time that it’s engaging the loop? TC: Well, I basically use it like a four track. I'll record it and I'll play in it, and it starts looping, and you can overdub on it as it passes. You can also change the feedback so it sounds more like a tape delay. PF: There are so many loopers out there, why did you choose this one? TC: Ummm…I don't know. I mean a lot of people hate it! I like that it only has one loop, and there's no memory, you can't store anything. I like that all the controls are sliders and there's no menus or digital readouts. As you can see it's pretty well worn. So the LEDs are actually taped onto the outside. PF: You know how you use it. TC: So line two goes to a ZVEX Fuzz Factory, into a wah pedal, into a MXR Carbon Copy Analog Delay. The delay can be almost anything, it doesn't necessarily have to be the MXR, but I do like the MXR. So that's basically squealing germanium fuzz pedal through a wah, or it's just clean, either one of the channels can be totally clean any time as well. PF: Do you use the Fuzz Factory more in it’s zippery type of buzzy setting, or go for more sustain? TC: I do a lot of different stuff with it. I use it as a fairly squawky, Hendrix type of fuzz pedal, but it also self oscillates. And the oscillations depend a lot on the signal that's coming in from the input. So I can use the volume pedal to vary the amount of signal that's going in there. And that actually causes it to oscillate like a Theremin. So with the volume pedal I can actually bend the notes, that sort of thing. And I can also set the volume pedal at half and then that makes it where it starts oscillating as the sustain kind of breaks up a little, and oscillate some other pitch. So it creates these really weird kind of unpredictable melodic lines. PF: But that's in the line that isn't looped, so you can't capture those necessarily. TC: No, but maybe that's another line of exploration I could do. I like to work with this. I like to have the loop sort of intelligible most of the time. PF: I will say it's a little surprising to me, having only heard you on record, that you have just the one loop element. I feel like when I'm listening to your music that sometimes there's something that's looped, and then as it re-emerges it’s transformed. TC: I will loop something I like, and I'll kind of play around with it, harmonizing with it or whatever, but I'm always recording and I'll keep recording on top of it. So as the song progresses it gets stranger and it can change a lot, but the basic tempo will stay the same. And the other thing I like to do is I keep the volume of the loop sort of low sometimes. I like to be able to play over it so you can't hear it. I want to be able to just hit the guitar really hard and you can't hear the loop anymore. So then I can either unobtrusively turn it off, or be playing something completely different on top of it, and when I come out of that the loop is changed or gone. PF: Do you change the sliders with your feet? TC: No, no, I bend over and move everything with my hands. I'm also blind as a bat in the dark, so I’m definitely down there squinting at my knobs a lot. PF: Is that a regular Dunlop Wah or Hendrix Wah? TC: It’s a Dunlop Crybaby. I think it's an 80s model. A friend of mine who I used to play guitar with in high school gave me this. And at this point it's duct taped together. That's the only wah pedal I’ve really ever been able to use. PF: Your album was well received last year, and Pitchfork named it the number one experimental record of 2015. What does that do for you personally? TC: Well, a few more gig offers come in, and it makes it easier to book a tour in Europe. It’s really good publicity as far as that goes. It seems to have helped all around; I’m selling more records. But as an honor? I try not to pay too much attention to that sort of thing. Marc Masters and Grayson Currin like it, and I love that those guys like the record, and thought enough of it to make it number one, that's totally cool. But I try not to attach too much significance to numbers and things like that. PF: So what are you doing next? TC: I'm about to go on a two and a half month tour of Europe and after that I have no clue. Rachel and I are basically living out of the back of our car for the foreseeable future until we figure out where we want to settle down. So it could be anywhere. I'm hoping to spend some time down in Texas to do some Charalambides recordings, but otherwise there’s not much plans beyond that.